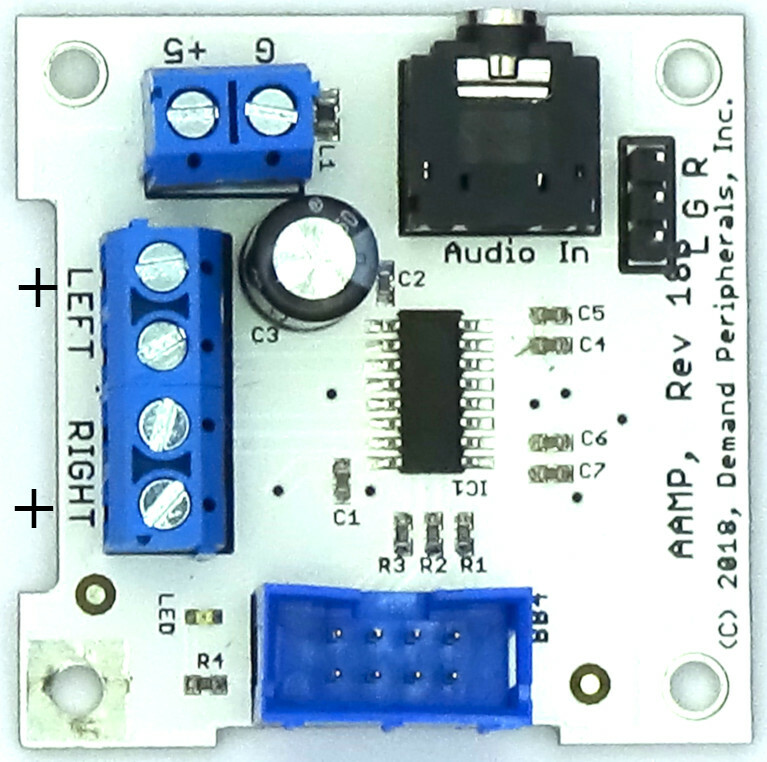 The Audio Amplifier Card (AAMP) uses the Maxim MAX9700B Class D amplifier to give over one Watt of audio power. Class D amplifiers have a high frequency (relative to audio frequency) digital output. They use Pulse Density Modulation to make the average signal over a short span correspond to the audio output. The high frequency digital output is low pass filtered by the inductance in coil of the speaker. A digital output is what gives Class D amplifiers such great efficiency and such low distortion. Even if the average is low, the instanteanous output is at full power for brief periods. Underrated speakers can catch fire when driven to full power by a Class D amplifier. This is why you must use a 1.2 Watt (or higher) magnetic speaker with the AAMP card. The schematic and layout of the AAMP are shown below. The Eagle schematic, board, and bill-of-materials are available here: aamp.sch, aamp.brd, and aamp.txt. Note that the connection to the FPGA has three resistors arranged as a asumming network. The resistor values are a decade apart. This means that the FPGA must give each output a PWM signal that can take on one of ten different pulse widths. Three PWM signals each a decade apart in volume gives the circuit about 10 bits of dynamic range. However since the resistors are not matched the linearity of the circuit might not be very high. 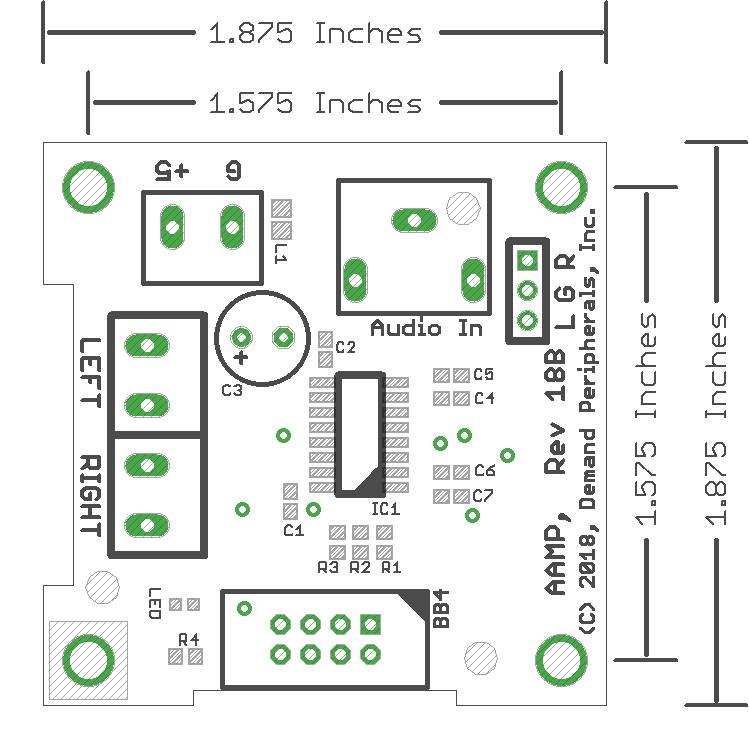 If you want stereo output and computer controlled volume you might want to consider building a circuit that combines the MAX9744 with EI2C peripheral and daughter card.